B.A. (Hons) Theology & Psychology, MIACP, MSIACP, CMH, CHyp, MPNLP. 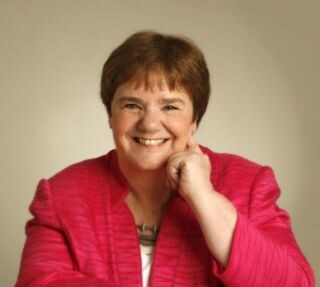 Christine Louis de Canonville is a licensed psychotherapist and clinical supervisor living in Dublin, Ireland. She is also an author, a professional trainer, and international speaker, a lecturer, workshop facilitator and external examiner. She has worked in the area of mental health and trauma recovery for the last 28 years, providing psychotherapy to children and adults for a range of life issues, including Addictive Behaviours, Anxiety, Anger, and Relational Issues. For 5 years, she worked in the Trauma Unit of St. Brendan’s Psychiatric Hospital under the watchful eye of the eminent Professor Ivor Browne. In 1995 she set-up her own private clinical practice where she now specialises in Narcissistic Abuse Recovery. Her life as a “care-giver” started in earnest when she was 23, and it was both a painful and magnificent adventure through both Western and Eastern paradigm of thought. Her philosophy of life is that every great artist uses a palate of many colours to bring their canvas to life, and this is true of any effective therapist. Her palate is made-up of many disciplines, from Psychology, Medical Anthropology, Philosophy, Sociology, Criminology, Criminal Psychology, Forensic Psychology, Metaphysics, Spirituality, Theology, and more. All these disciplines are wonderfully compatible to the life of any Psychotherapist. Christine works primarily as a Humanistic and Integrative Psychotherapist, where she incorporates a Person Centred Approach, utilizing a range of modalities (Western & Eastern) where appropriate. She is also a qualified accredited Psychotherapist, Clinical Supervisor, Master NLP Practitioner, Master of Clinical Hypnosis, Life, Business & Executive Coach, Spiritual Director, Shamanic Counsellor, Curandera Practitioner, and Transpersonal Therapist. Since qualifying, she has been a member of many accredited Boards and is a Member of the Irish Association of Counsellors & Psychotherapists. Christine is also a trained and accredited Psycho-Spiritual Psychotherapist: Throughout the years, she was also going through personal spiritual development. True to form, her quest for “truth” was to take her to visit many places. She did her fieldwork study (for her Master’s Degree in Medical Anthropology) with indigenous Shamans from Native American Sioux Indians, to Peruvian, Bolivian, European, Celtic, and Mexican shamans. She also studied comparative religions, and to her surprise, she became a Theologian. For many years, she worked with Emaho, an American Indian from New Mexico, who challenged her to see life through “Life’s Eyes” rather than through the eyes of the personality. Her journey also saw her apprenticed to Eloxochitl, a Curandera Teacher in the Medicina Mexihka Tradition (Mexican Shaman). In 2006, Christine was honoured as a Curandera and a Warrior Woman when she was given the Native American Indian name of “Cihuatequiani”, which means “Woman Who Works”. It has been part of her life’s work to integrate these two ways of knowing (Western Behavioural Psychology with Eastern Consciousness Psychology) into an Integral Transpersonal Therapy. This is a seamless way of working with the whole person, not just on a mental, emotional, and physical level, but also at a spiritual/soul level of the self. She grew up with an older psychopathic brother from childhood. 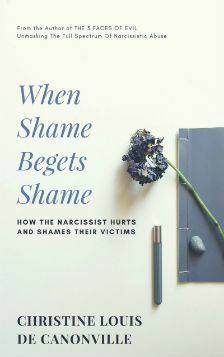 Unfortunately, due to her early conditioning, she found herself re-experiencing victimisation during her adult life by three other narcissists (2 females and 1 male). About 12 years ago, she began Criminology Studies, and she became very interested in Psychopathy, which is the study of The Dark Triad (the classical narcissist, malignant narcissist, and the psychopath). She completed her post-graduate diplomas in both Forensic Psychology and Criminal Psychology. Having done her own recovery work, Christine became the “Wounded Healer”. She decided to specialise in helping other people in their recovery from toxic relationships, especially those who had been victims of pathological narcissistic abuse. She became a published author of The Three Faces of Evil: Unmasking the full spectrum of narcissistic abuse, and has gone on to publish two more books on the subject of narcissistic abuse. She appeared in the popular Television Documentary – Evil: A Would You Believe? Special – as a mental health expert (with other experts) speaking on the subject of Evil. Many of her articles have featured in major online magazines and professional Journals. She was a guest on various international radio shows (i.e. Ireland, America, Canada, England, and Sweden). She was the keynote speaker for the IACP at the first Professional Mental Health Conferences in Dublin, and she was a guest speaker on the 1st World Narcissistic Abuse Awareness Day Summit (WNAAD). She started the “Roadshow for Therapists”, where she travelled throughout the Four Provence’s of Ireland with her training workshops for mental health professionals on narcissistic personality disorder, and the effects of narcissistic abuse on the victims. She is the founder of narcissisticbehavior.net that has readership from all over the world. Part of her advocacy work is to provide a blog for furnishing information about the different facets of narcissistic personality disorder and narcissistic victim abuse.